…because the only difference between HS2 and any business is scale. Yes, High-Speed Rail 2 (HS2) is a £56bn project, but the leadership issues are the same in a £56m business or a £5.6m business. HS2 just has more zeros. They want to evaluate the ability of the bidders for contracts on the project “to deliver the collaborative behaviours they claim they possess” (FT 15 October 2016). So they have hired B2B Partnering Performance, a firm of psychologists, to run behavioural tests. They put bidders under pressure to see if they will “revert to type”. The story raises several questions: Why doesn’t every business do this? What processes will HS2 use to help keep behaviour on track, if you’ll excuse the pun? Above all, why are “soft issues” now getting so much attention in leading and managing in complex situations? The answer to the last question is that the art and science of business have evolved over the last hundred years to embrace the fact that businesses succeed or not depending on the extent to which leaders manage relationships successfully in complex situations. A CEO, function head or managing partner has to lead a team during periods of complex change: business or function restructure; losses or loss of market share; post M&A; “silo behaviour” in a group or partnership; crisis; an adverse leadership audit; conflict or succession planning issues in a family business. Leaders need in these situations to motivate the board or team to cooperate while growing the business or function while at the same time keep customers and stakeholders happy. Their risks include low morale and poor behaviour and an unclear strategy while time runs out leading to unhappy customers and impatient stakeholders. It is impossible to deal with complexity without a shared purpose. You can’t agree on strategy until there’s agreement on objectives and you can’t plan to deal with complexity without a strategy. It all comes back to shared purpose. But a shared purpose, in turn, is impossible without behavioural change. People won’t agree on anything unless they are incentivised to do so. They must be made to see the benefit to them of agreeing on purpose. They will only do that if they see an inter-dependence between their personal objectives and business objectives. You can’t do that without knowing them. So that’s why HS2 has hired psychologists to get to “know” the bidders so as to predict their behaviour. But even if they pick those who exhibit the best behaviour they still have to be led and managed on the job. Leadership is about creating an environment in which people thrive. That’s a daily task, not a one-off process. My approach is to help individual leaders and team members to develop their personal Purpose, Strategy and Behaviour Plan – a Personal PSB Plan; then to agree the business Purpose, Strategy and Behaviour plan – an Organisational PSB Plan. Due to the interdependence of these, I facilitate agreement on ways of working together as a team and how to manage relationships in the light of these plans, on a daily basis. 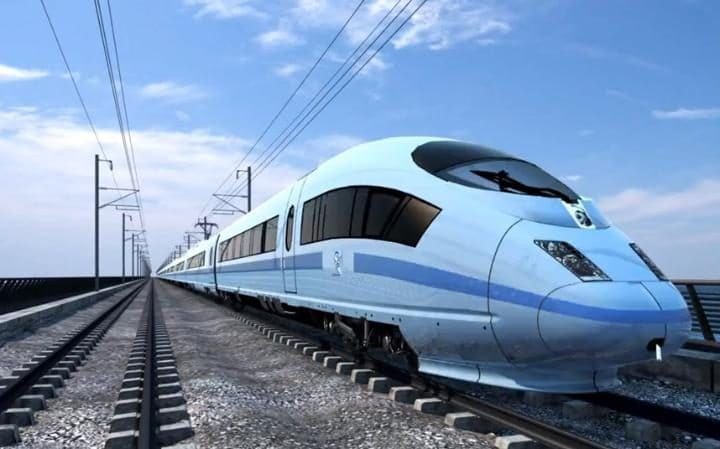 HS2 might consider not only how they are going to avoid The Hawthorne Effect – how people’s behaviour change when they know they are being tested – but also how they will maintain the behaviour tested. Nevertheless, the story is a sign of the times that the leader of a £56bn project sees the value in these processes. This is a useful reminder to all leaders that good behaviour in relationships is key to success; its absence, the sure cause of failure. Posted on October 26, 2016 by Ciaran Fenton. This entry was tagged CEO, HS2, leadership. Bookmark the permalink.